Acclaimed photographer Michael Wilson, whose work includes photos of Lyle Lovett, Hugh Laurie, Delbert McClinton, and Buddy Miller, embarked on a different kind of photography journey from January to March this year at the Manifest Drawing Center in Madisonville. Eleven students learned the ins & outs of analog cameras from the making of prints to darkroom techniques. The students were freshmen to seniors and from both private and public schools. 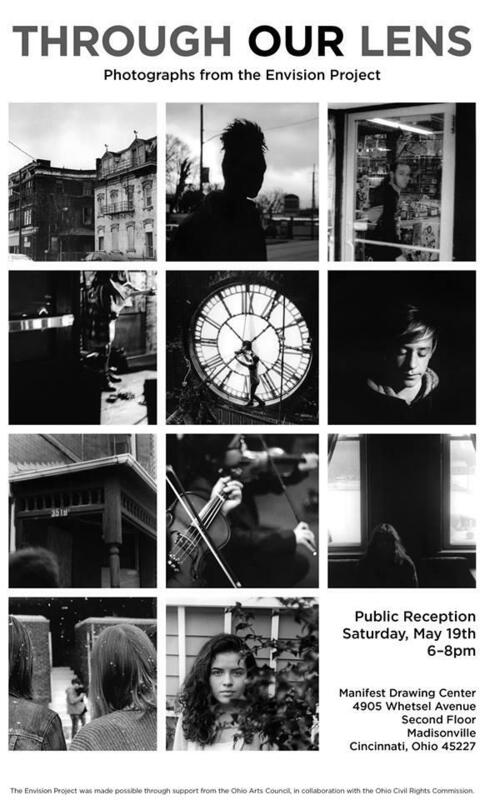 Their photographs will be on display one-day-only at Manifest Drawing Center at 4905 Whetsel Avenue on Saturday, May 19th from 6-8pm. The exhibition is entitled, "Through Our Lens: Photographs from the Envision Project." The work of the Ohio students will be then be sent to Columbus for a year-long exhibition by the Civil Rights Commission.